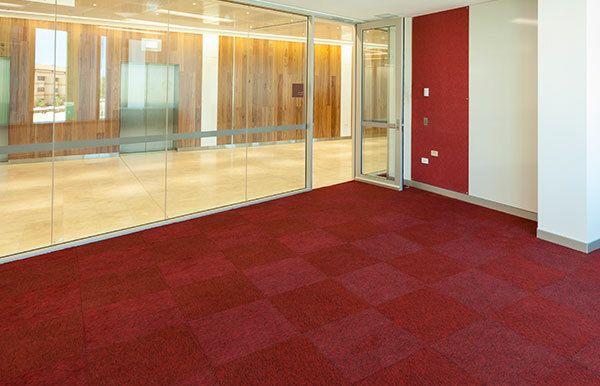 Floorwise is a professional Floor Covering company servicing Perth and greater Western Australia specialising in commercial carpets, carpet tiles, vinyl and rubber flooring. We combine knowledge, expertise, and experience with style to suit every commercial setting. We have worked on some of Perth largest building projects utilising only the best quality commercial vinyl, vinyl tiles, rubber, carpet and carpet tiles installed by highly qualified professionals. We offer a complete service from estimating and advising on the best flooring materials through to project management and complete installation. We are looking for someone with extensive commercial flooring and business development experience to join our growing company. The ideal candidate will have the ability to drive new sales and growth in key accounts through management of a project delivery process liaising with suppliers, staff and contractors. The role will include working across a range of projects in the Commercial Flooring industry from small office refurbishments through to large construction sites. This role will suit someone who may be an Ex- Installer or Flooring Contractor with sales experience in the commercial construction industry or someone with Trade Sales experience in the Flooring market. This role requires an individual with a good understanding of the Construction and/or Commercial Flooring industries and should have current experience in a Business Development Manager or Trade Sales Role with a Flooring Product. Develop new business through existing lead generation channels and by creating new opportunities. Includes dealing with phone inquires and walk in clients and follow up with site visits and quote submission. Overseeing the project delivery to maintain a high level of service and quality workmanship. Including order of material and scheduling of work to ensuring projects run smoothly and deliver desired margins. Background in Commercial Flooring – with technical knowledge of the installation process. For a confidential conversation, please contact Patrick on +61 8 9200 6288 . To submit your interest, please send your CV and a cover letter to peter@floorwise.com.au. Floorwise respects your need for confidentiality and your details, resume &/or name will NOT be disclosed to any current employer or third party without your prior knowledge and consent. Floorwise has recently completed installing new carpets throughout the newly refurbished Rendezvous Hotel in Scarborough. We started on level 25 and worked our way seemlessly to the ground floor lobby all whilst the hotel was still in operation. The carpet used, was custom made by Brintons ( http://www.brintons.net/apac/en/ ) who manufacturer wool rich and nylon woven Axminster and Wilton carpets (see job photos in Floorwise Gallery). The job consisted of removing existing carpet and underlay and installing new carpets to over 300+ guest suites and rooms, restaurants, bars and conference and meeting facilities. The renovations also included over 2400m² of refreshed conference space, including 16 meeting rooms and two grand ballrooms. Floorwise has recently completed a 30,000 + m2 project at The Fiona Stanley Hospital…..on time, within budget and to a standard that was second to none. Our contract consisted of the following works….. floor vinyl, wall vinyl, carpet tiles, wet-areas screeding and waterproofing, aluminium skirting, pin up boards, whiteboards, entrance matting, safety stair treads, and tactiles. The Architects were from 3 of Australia’s largest firms, joining forces to become a “Design Collaboration” (comprising design firms Hames Sharley, Silver Thomas Hanley and HASSELL) and were responsible for delivering urban design architecture, landscape architecture and interior design for the $1.76 billion project. Due to open in 2014, Fiona Stanley Hospital will be the major tertiary hospital for the south metropolitan region, providing 643 beds and 24-hour acute care together with teaching, research, medical and surgical services.Fiona Stanley Hospital will offer first-class healthcare, clinical care, research and education – supported by an innovative design that will harness the latest scientific, technological and medical developments. It will be an outstanding health care facility, demonstrating design excellence across all disciplines of architecture, planning, interior design, landscape architecture and urban design.